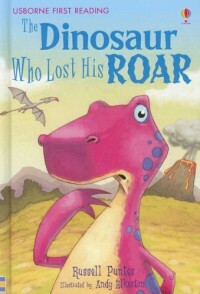 This book is all about a dinosaur named Sid who has the loudest roar out of all of his friends. He loves to go behind them and roar and terrify them. His friends don't think it is as funny as Sid does. One day after roaring one too many times, Sid gets a sore throat and loses his voice. After a day of not being able to roar, and a spoonful of honey, the next day he is feeling better. He ends up using his loud, powerful roar to save his friends from a huge, mean T-Rex. This book could be used to teach children to treat others kindly and like they would want to be treated by them.